Let your marketing strategy be the coolest one in the promotional arena, with the trendy and useful Rubberized Sunglasses with Tinted Lenses. 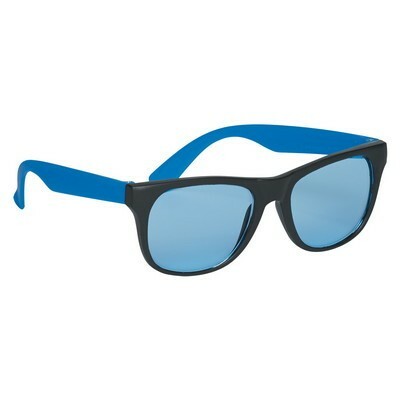 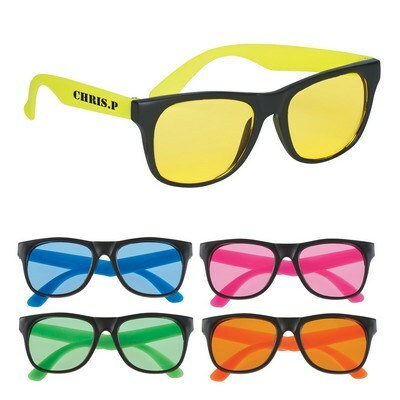 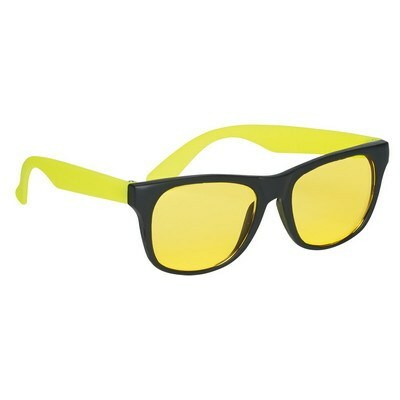 The sunglasses have UV400 lenses that provide 100% UVA and UVB protection. Made of sturdy poly-carbonate material, it is available in black with blue, green, orange, pink, or yellow temples and tinted lenses, to suit your promotional needs. Emblazon your company’s logo on these sunglasses and give them away at malls, beaches, resorts, and tourist locations, to attract immense visibility for your brand.